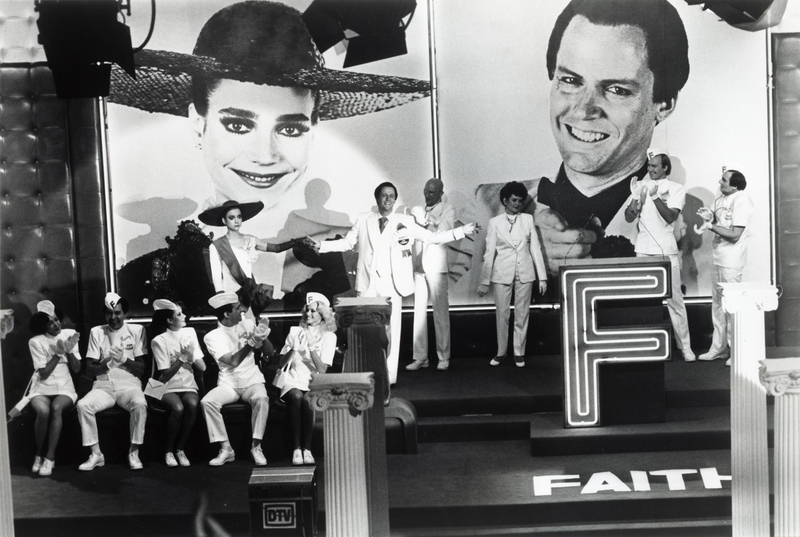 "Backdropped by photographs of JESSICA HARPER and CLIFF DE YOUNG, the cast of Shock Treatment takes center stage in a strange TV studio. Standing, L-R: HARPER, DE YOUNG, RICHARD O'BRIEN, PATRICIA QUINN, JEREMY NEWSON, BARRY HUMPHRIES. Seated, L-R: DARLENE JOHNSON, MANNING REDWOOD, NELL CAMPBELL, RIK MAYALL, WENDY RAEBECK."